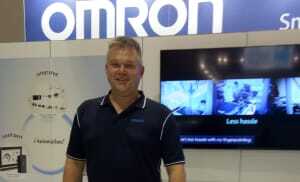 The latest Autonomous Intelligent Vehicles have key advantages over Automatic Guided Vehicles, according toOmron’s automation technology product manager Chris Probst, who spoke at Foodpro. The future of food production will be personalised to individual tastes and nutritional requirements as biosensor technology gains ground. 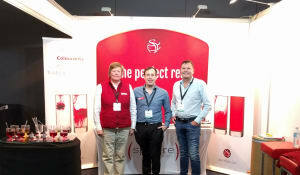 Meat processors were spoilt for choice at Foodpro, with machinery to meet their every need. 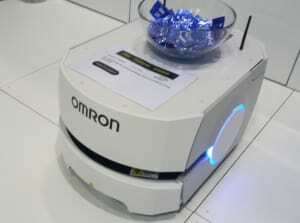 Fleets of robotic innovations rolled out at Foodpro, with companies such as ABB, JMP Engineering, and Universal Robots exhibiting. From the all-natural and good-for-you through to regional flavours, the ingredients section of Foodpro was a hot-bed of key trends. 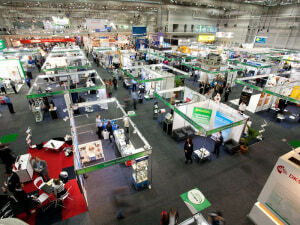 Foodpro exhibitors shared their latest innovations in this photo gallery of the show, which is being held in Darling Harbour this week. 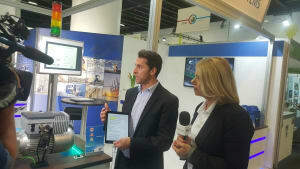 Global drives and geared motors specialist Nord made a strong showing at Foodpro of its expertise and its investment in the Australian market. 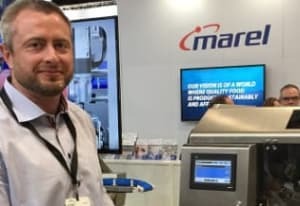 On the CBS Foodtech stand at Foodpro, Bojan Grdanovic showed off the range of marinades, glazes and meat rubs for the food service and food manufacturing markets. 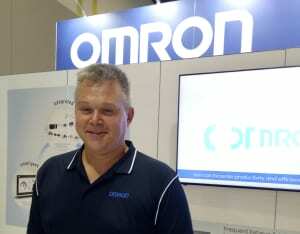 At Foodpro 2017 in Sydney, Omron's Chris Probst shared some of the company's smart factory solutions on show. 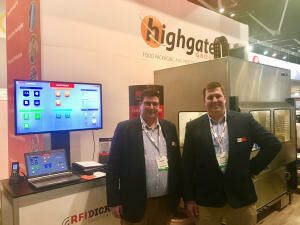 Highgate's Alister Joyce shared news of two 'cutting edge' knife solutions for the meat processing industry making their debut on the Highgate stand at Foodpro. 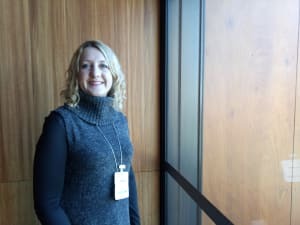 Catherine Dillon of Sphere Foods shares teh merits of the company's 'Perfect Red' odour and flavour-free colourant. At Foodpro this week, we spoke to RMR Process about scaling up manufacturing facilities for SMEs and the new Sydney facility for Birch & Waite. At Foodpro 2017, Rob Blythman of Total Construction shared some common pitfalls and pointers for food manufacturers considering investing in a new facility. 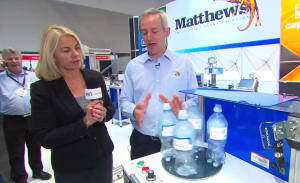 The Foodpro food manufacturing technology show kicks off this Sunday at the new ICC Sydney exhibition centre in Darling Harbour, and will run for four days.